Available on Tuesdays, Wednesdays, Fridays, Saturdays, and Sundays from 10:00am-3:45pm, with a check-in at 9:15am at the Paradise Island Ferry Terminal. 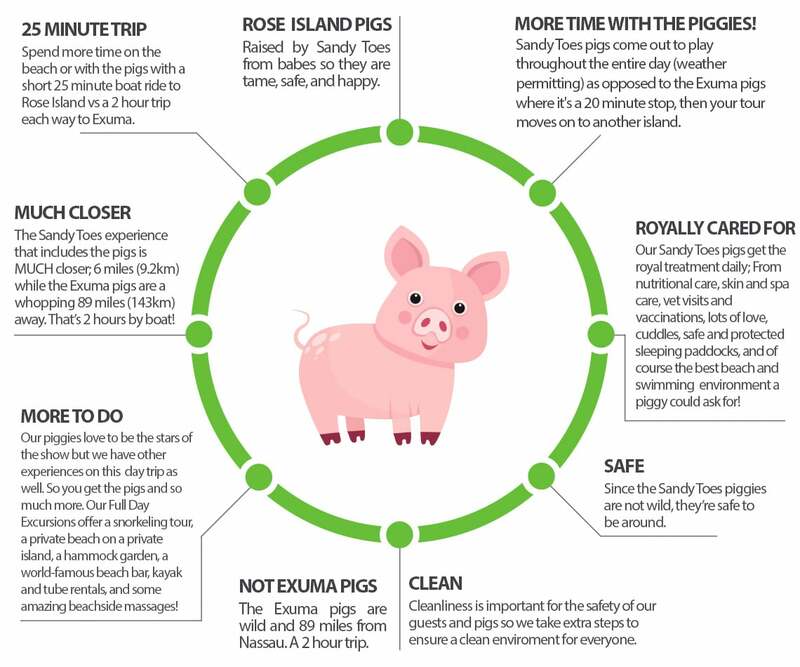 See the Swimming Pigs of The Bahamas! Sandy Toes is equipped with snorkeling gear for people of all ages and we have many different sizes for both adults and children. Our island host offers a snorkel tour on our famous south side reef. 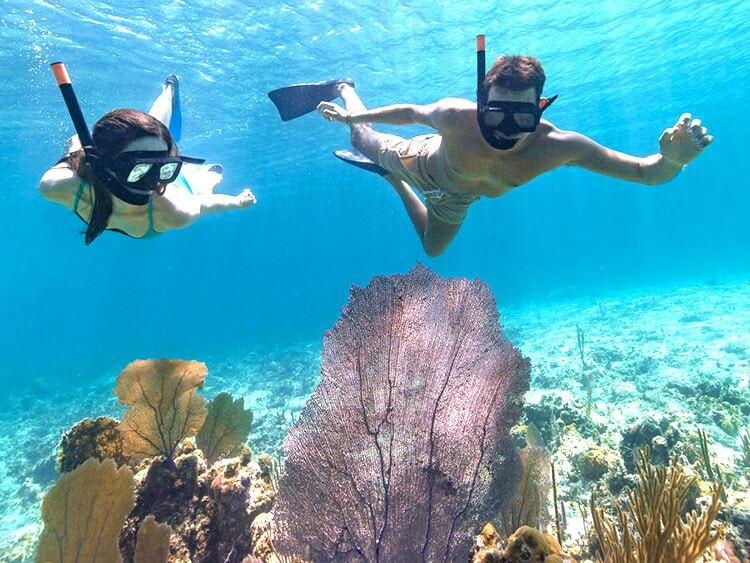 Guests will see and experience a variety of sea life as you snorkel the crystal blue waters just off Rose Island. We also offer complimentary life jackets for all guests. If you and your guests are looking for a more private experience our VIP Areas & Bottle Service are available. All you can drink packages starting at $49/pp! Optional – guests can add on bus pick-up from your hotel for $12/pp roundtrip from select Nassau Hotels and $8/pp from Paradise Island Hotels. Sandy Toes has a 24 hour, 100% cancellation policy. Guests may cancel the excursion for any reason prior to 24 hours of the excursion departure time at no charge. Any cancellation received WITHIN 24 hours of the scheduled departure time or any no show on the day of the excursion is subject to 100% cancellation/no show fee and no refunds will be authorized. Group bookings of a minimum of 10 guests to a max of 29 guests have a 7-day cancellation policy. This means any groups of this size must cancel their reservation PRIOR TO 7 calendar days in advance of their excursion date. Any cancellation received WITHIN 7-days of the scheduled excursion date or any no show on the excursion date is subject to 100% cancellation/no show fee and no refunds will be authorized. Group bookings of 30 guests or more, or exclusive buyout bookings, have a 30-day cancellation policy. This means any groups of this size or nature must cancel their reservation PRIOR TO 30 calendar days in advance of their excursion date. Any cancellation received WITHIN 30-days of the scheduled excursion date or any no show on the excursion date is subject to 100% cancellation/no show fee and no refunds will be authorized. Sandy Toes reserves the right to make cancellations based on unexpected weather conditions or other reasons deemed acceptable by its operators. Sandy Toes is not responsible for any information obtained via a third party. 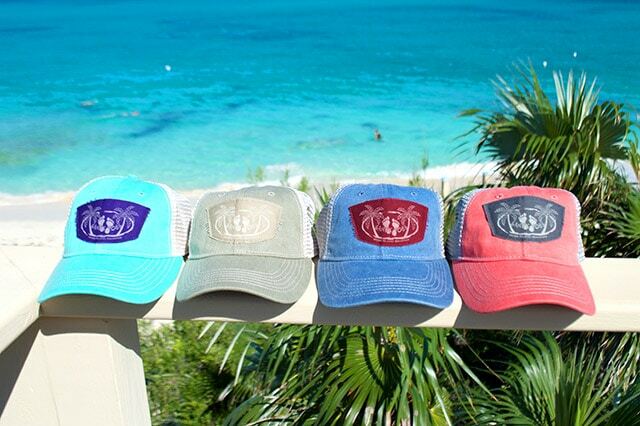 Sandy Toes is a registered company in The Bahamas officially licensed as Soldier Crab Limited t/a Sandy Toes. Sandy Toes is not responsible for any personal property or injury to guests while on the excursion. All access water sports are based on inventory and availability. There are no weather-related refunds if Sandy Toes operates the excursion. In the event that Sandy Toes deems the weather as unsafe and Sandy Toes cancels the trip, the guest will be able to reschedule their excursion or receive a full refund. Guests will be required to sign a waiver to participate. Sandy Toes is not responsible for any credit card or bank fee charges. All activities are weather-permitting. Sandy Toes cannot guarantee that all activities will be available and reserves the right to decide whether to offer a particular activity on a given day based on the safety of our guests and staff. If a booking is made with a credit card over the phone supplied to Sandy Toes by the guest, the guest will email a voucher to the email of the address provided by the guest. If the guest replies to the email confirming the booking, the guest in doing so also agrees to the terms and conditions of the booking and acknowledges that the credit card information was voluntarily given on their own free will to make the reservation and releases Sandy Toes from any chargebacks, refuses, or merchant disputes in the future. Note: Excursion details are subject to change without notice. Start your Nassau Bahamas Excursion adventure today! * To confirm the tour date is still available, please click BOOK NOW! on the navigation.